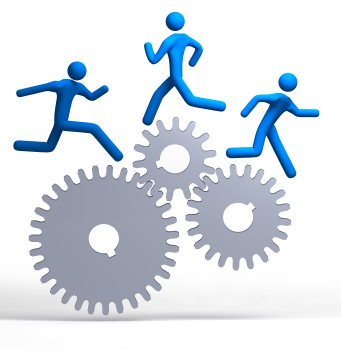 Bring out the best in your people? These are tough challenges at the best of times, never mind in the current economic turmoil we're faced with. If you can aim beyond simply creating demand and create desire and value in your prospects, customers, partners and people, you can meet these challenges. Click here to download my free eBook, "Beyond Demand Creation", where you will discover how to create desire and value and how this will shorten time to revenue and increase profitability. 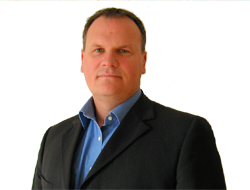 "Chris possesses the inherent skills and experience to grow business." Chris Gill, President & CEO, Silicon Valley Association of Start-up Entrepreneurs. Central to creating desire and value and to grow your business is people. With our help more of your prospects will become clients, more of your clients will stay with you and you will benefit from bringing out the best in your people. Contact me now and create the desire and valaue your business needs to grow. How to create desire and value in your clients and organisation and why it's key to long-term success. Click the eBook to receive a free copy. 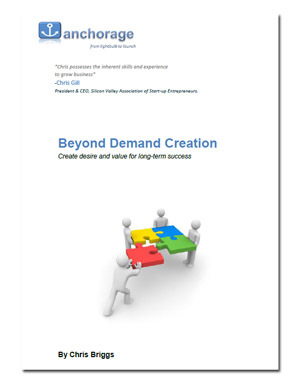 The offerings of Beyond Demand Creation have merged with the Strategic Planning products and services of Anchorage. The above link will take you to that site.